These are the last three pairs of socks that I made while on holiday. They are all short row toes and heels, worked toe-up - the only sort I knit now. Posh Yarns "Serena" cashmere sock yarn shade Stonewashed and yes, there is a completed second sock! I love this cashmere, it's so soft and comfy. I've got another lovely purply colour - Mulberry - already lined up for the next pair but I think I shall put either a rib or cable pattern on it as I'm ready to move on from my completely plain socks. 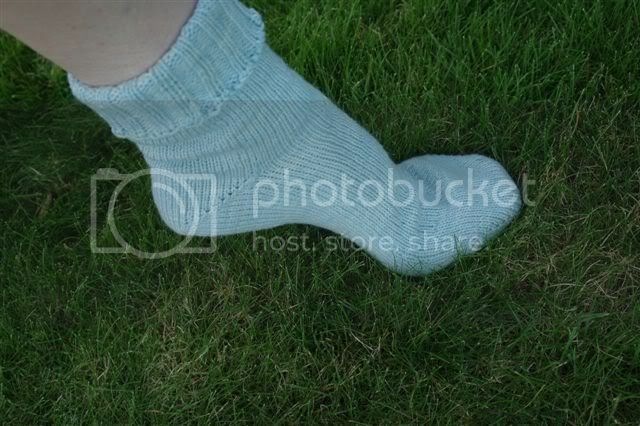 Lovely socks - coveting the koigu quite a lot! 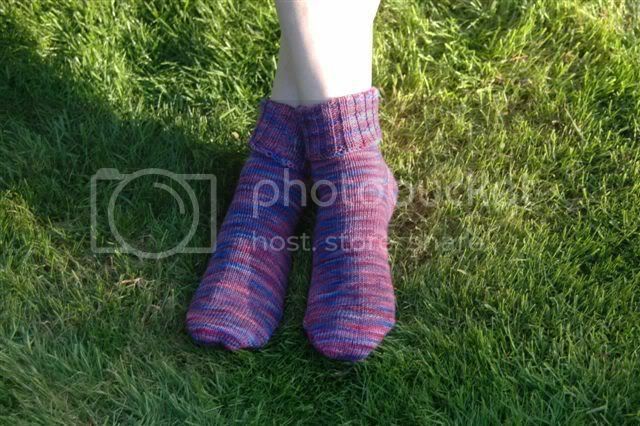 I haven't tried the toe up pattern yet, but it seems you prefer it so I might give it a go.